Hop Against Homophobia, Bi-, and Transphobia, 2015 Edition! 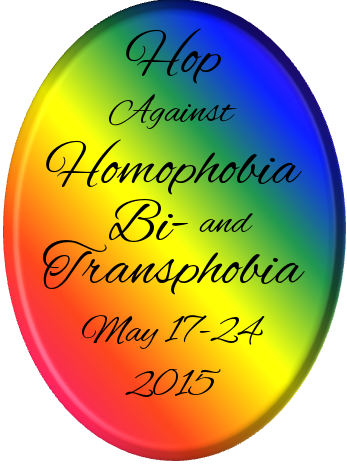 Welcome to my stop on the Hop Against Homophobia, Bi- and Transphobia! 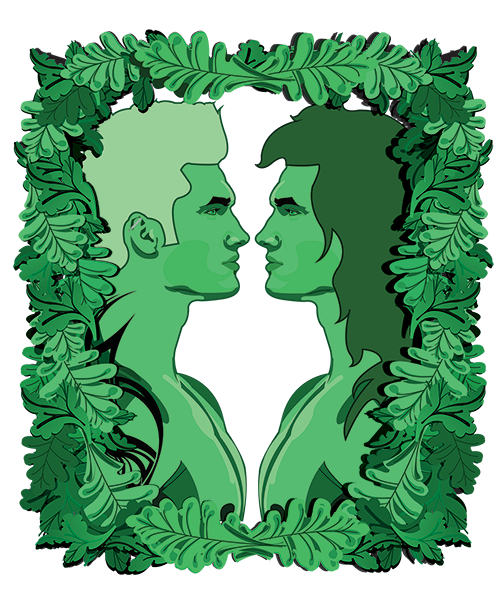 I’m just one of 115 participants in this year’s Hop — you can link back to the others at http://hopagainsthomophobia.blogspot.com/ We hope you’ll take a look around, visit as many blogs on the Hop as you can – it goes on until late on May 24th. And every stop offers a chance to win a prize! Comment below, with your e-mail address (so I can reach you if you’re my winner), and after the Hop ends on the 24th, I’ll choose one commenter at random to win a Kindle copy of “Ilya and the Wolf,” my 2014 Dreamspinner Advent Calendar story! And as long as we’re all here…. I think it’s safe to say that those aren’t words any of us in the LGBTQIA community want to hear. But I’ve been thinking about them for a while, because that’s what I do when I hear a statement that’s obviously wrong, but that doesn’t have an equally short, pithy, effective comeback. Well, maybe not “think about”. I kind of obsess, to be honest. Can’t help it, I’m a lawyer, it’s in my DNA. And after enough obsessing, I realized that I have a slightly different perspective to bring to the table, one I haven’t heard before. Maybe it’s useful, maybe it isn’t. I’ll let y’all decide what it is for you. For seventeen years, I was married to an alcoholic. Al-Anon saved my life. Through Al-Anon, I learned that when you love an alcoholic, detachment is a survival skill. Just because you genuinely love the alcoholic person doesn’t mean you approve of or love or support or enable their self-destructive behavior. Their illness. Now, where have we heard something like that before? Please understand, I’m not making any kind of comparison between alcoholism and being LGBT. Obviously, being LGBT is not self-destructive, behavior, or an illness. The comparison I’m making is between responses—a comparison between Al-Anon-style detachment and the superficially similar “hate the sin, love the sinner”. You see, detachment is a genuinely loving response, one that simply recognizes the realities of a relationship with an alcoholic. And I can’t help but wonder if, at least sometimes, “hate the sin, love the sinner” might not also be coming from a loving place. Someone who fears what he or she doesn’t understand, but is trying, however imperfectly, to reach out. A genuine commitment to love a “sinner” despite the perceived “sin” might even be a much more compassionate attitude than that held by the majority of the people who surround such a person. It’s undeniably true that not everyone who says “hate the sin, love the sinner” is speaking from what they consider a place of love. Far from it. Some of these people are genuinely toxic. But some people who use those words, who believe them, are really trying to love, the best they know how. I know, because I used to be one of them. At least, I belonged to a religion that taught that (although my particular church was also quick to remind us “judge not, lest ye be judged”). In the end, in my case, love won. But there are more of me out there. I know there are. More who would be our friends, our allies, who would love us if they only knew how. And we need to reach that love. In my small way, that’s part of what I’m trying to do in my writing. I’m obviously not a gay man, and my m/m romances obviously aren’t an incisively accurate portrayal of the full spectrum of gay life. But they’re a door into a reality that at least some of my readers have never understood, never even tried to understand. I want to make that door as inviting as possible, to persuade readers to step through and discover for themselves that there’s no “sin” on the other side for them to “hate”. “There is no fear in love; but perfect love casts out fear, because fear has torment. He that fears is not made perfect in love.” 1 John 4:18.